Click Here to Order the New Releases! 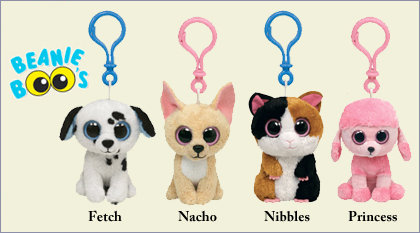 Are you frustrated from trying to locate those newly released and hard to find Ty Beanie Babies? Exhausted from spending hours online searching for the best price? 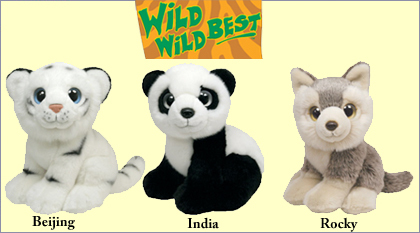 Would you like to find the largest in-stock selection of newly released, current and retired Ty Plush at the lowest prices? Look no further than www.beaniesnboyds.com! 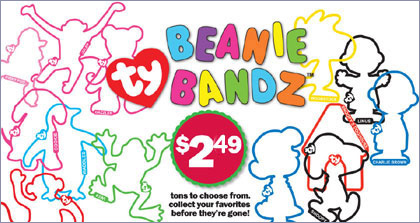 We carry the full line of Ty products including: Beanie Babies, Beanie Buddies, Nascar Beanies, Ty Baby, Classic Plush, Pinkys, Pluffies, Punkies, Attic Treasures, Beanie Boppers, Beanie Kids, Ty Girlz, Alphabet Beanies, and much more. 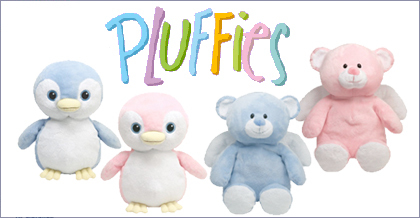 We also carry the full line of licensed products including: Backyardigans, Beatrix Potter, Bobblins, Garfield, SpongeBob, Blues Clues, and more to come.